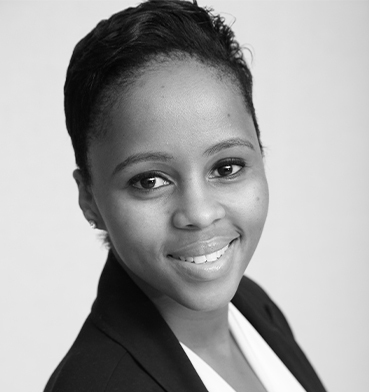 Refilwe is an associate in the firm’s dispute resolution department. She specializes in all aspects of commercial litigation and alternative dispute resolution, with particular focus on property law, land reform, land expropriations, land restitution and evictions, administrative and constitutional law as well as mining and environmental law. She has been extensively involved in urgent interdict applications, review applications, mediations, and inquiries. She has acted for and advised various listed, unlisted and international clients in a variety of industries including mining, construction, banking, insurance, pharmaceuticals and property. Furthermore, she has made representations and submissions to various regulatory bodies for and in objection to land expropriations, the granting of mining and prospecting rights and other forms of administrative action. Refilwe has been involved in urgent interdict appliacations, review applications, mediations, and inquiries. She has acted for and advised various listed, unlisted and international clients in a variety of industries including mining, construction, banking, insurance, pharmaceuticals and property.